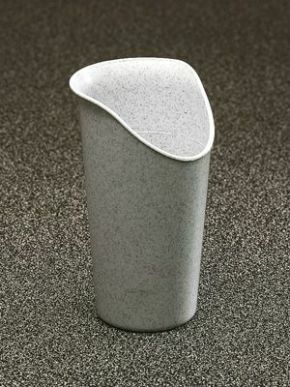 If you have difficulty in tipping your head back, you’ll know the frustration caused when using ordinary cups and mugs. This nose-cutout cup has been designed specifically with you in mind. It has a notch at the top of the cup that allows room for the nose when the cup is tipped back – meaning that, effectively, the cup is doing all the work for you! Made from tough plastic and dishwasher safe, this cup with nose cutout makes it easy to drink again.